"Baby, can't you see... 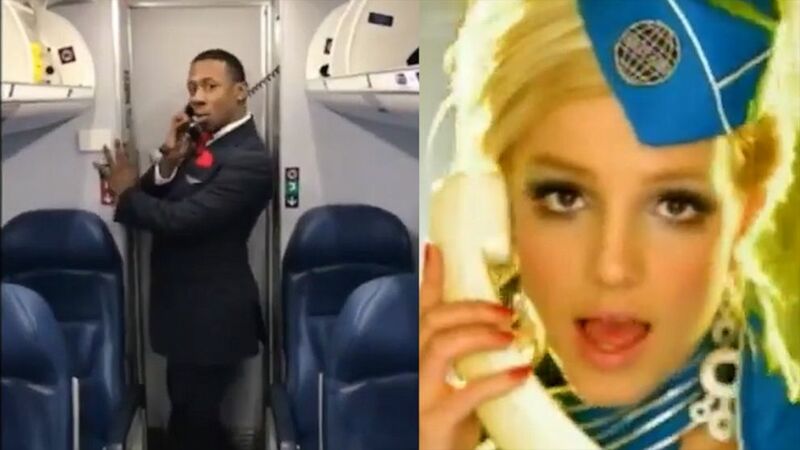 I'm calling"
A flight attendant's rendition of Britney Spears' "Toxic" music video deserves a standing ovation from Britney fans everywhere. Marcus Gindrow, 28, recreated the iconic video on an airplane and shared it on social media, where it's getting lots of love. "People are saying it made their day, made them laugh and smile," Gindrow of Philadelphia, Pennsylvania, told "Good Morning America." "I also wanted to shine some light on Britney and what she's going through something [after her dad's health scare]." Gindrow has been an attendant for 2 years and recently joined the flight crew with Endeavor Air. The singer posted a heartbreaking note to Instagram. In 1998, a 16-year-old Britney Spears hit the scene in her pigtails. The two teens have blown away millions after their video went viral on Facebook. "I love it -- working with the people traveling, the customer service aspects and also the care of or the safety for the passengers and being able to spread my joy and making them feel comfortable," he added. Gindrow said he's a big Spears fan, and his colleague recorded his "Toxic" dance on March 31 during a layover in Atlanta, Georgia. 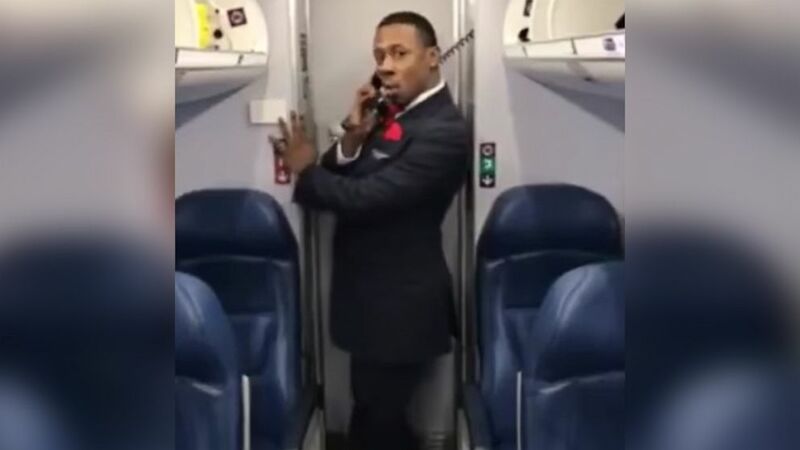 (Marcus Gindrow via Storyful) Marcus Gindrow, a member of Endeavor Air's flight crew, recorded his "Toxic" dance on March 31 during a layover in Atlanta, Georgia. "You can have fun at your job," he said.